Within minutes, over 9,600 signed — and growing. Giant corporations want to take over the Internet. 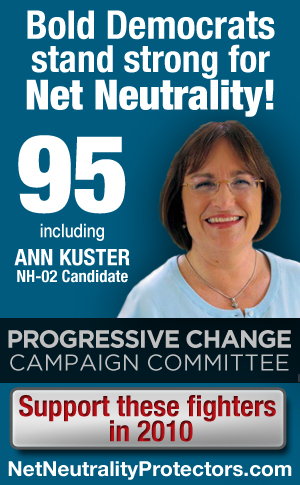 But over 95 bold Democratic candidates are going “on offense” — promising to protect Net Neutrality! Be a “citizen signer” of the bold Net Neutrality statement made by these candidates — sign on the right.